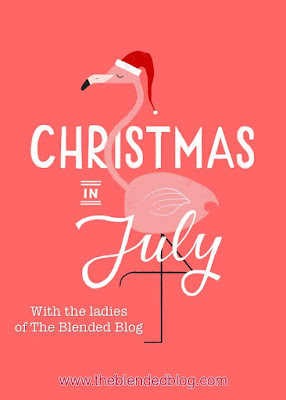 Last year we did our first Christmas In July with the The Blended Blog. We had a random drawing on Elster and I can't tell you how excited I was to shop for my gal, Whitney and to receive a box of goodies from Shaunacey. 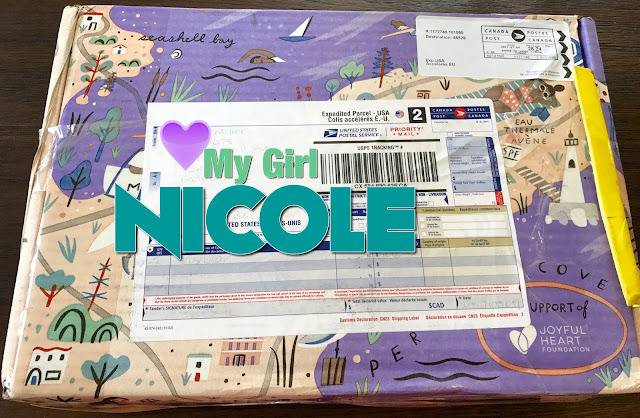 I was so super excited when Nicole's package came in the mail a couple week's ago as this girl has some seriously sweet taste. When we were in Toronto, Nicole, who is a professional photographer took some great shots. I happened to be wearing my pineapple sweatshirt one day and she got this great shot with my spirit house as the antique gold pineapples and color were perfect. Even the print on the box was darling! Cool "Small World" story from the Toronto Trip. Nicole was asking Shaunacey if she knew if the town I lived in was close to the town her cousin and husband live in. Crazy to find out, not only is it the town we are moving to 8 miles away but the church he is a Pastor at is a coupe miles form our current house!! Small World indeed!! 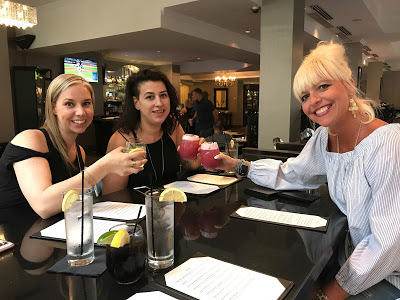 CHEERS sweet Nicole!!! How ironic is it that the glasses we are toasting with are similar to the glasses she got me and the Sangria drink mix color!! Let's party like a pineapple!!! Shaunacey, Nicole and I from our May Toronto trip. Head over to Deena's blog, and see what little goodies I was over the moon to send to her. She is a dream of a friend and lady and so fun to buy for!! Oh My Goodness!! Please let me know how that sangria is! Love those wine glasses!! Perfect box for you! 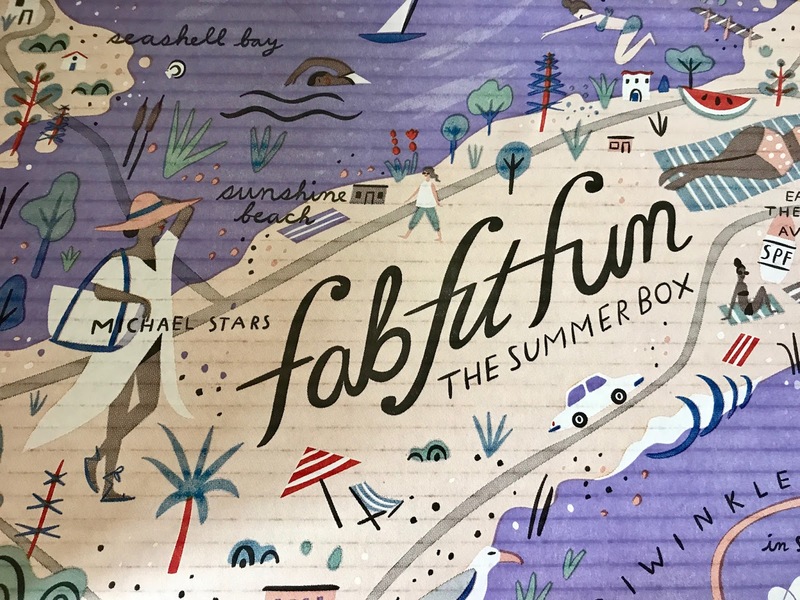 Hahah - The only box it all fit in was my Fab Fit Fun box! But it worked, I'm so glad you like it all! What a sweet box of goodies! I love all the pineapple pieces, they match your top perfectly! And that sangria sounds amazing. Perfect for the summer heat! What a fun box!! You did a great job with the box you sent too! It's like a party in a box, love it. What a sweet box to receive in the middle of summer. I love the box, it's so pretty! I feel like a toddler, you know how when the kids were little and they'd open presents on Christmas and end up spending the day playing with the box? Yep, that box is right up there! And how sweet are all those pineapple goodies? Have fun enjoying them. I am loving reading all TBB posts today and seeing inside the boxes, how fun! 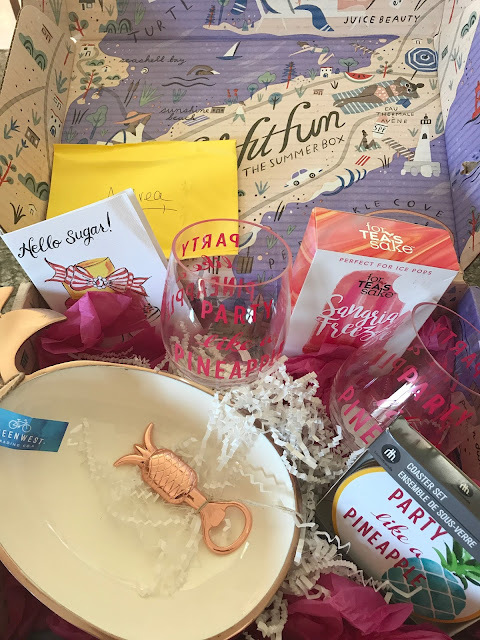 So many fun pineapple goodies! Love those wine glasses! How fuuunnn! Loved how you were twinning with the building! Only a great fashion blogger and awesome friend could do that! Great loot! I seriously want everything that she sent you, she nailed what you'd like perfectly! Seriously though, just give me all the pineapples! She nailed it with this gift! I love all the pineapple stuff, and even the box is so cute! What a fun exchange! How fun is that box? She knocked it out the park - Awesome! Also, love the jean jacket look. What a box of fun! I love that pineapple bowl and opening. Such a small world being so close! What a great gift box. I am obsessed with all things pineapple right now! that box is just perfect for summer. 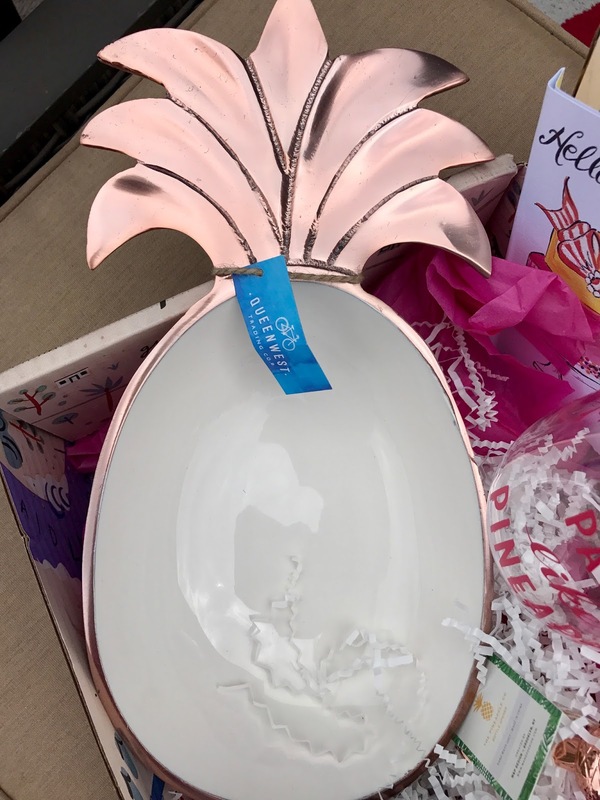 I'm obsessed with the pineapple bowl!!! This is seriously so fun. I'm just going from blog to blog and so excited each and every time to see what the gift was. Y'all are adorable. 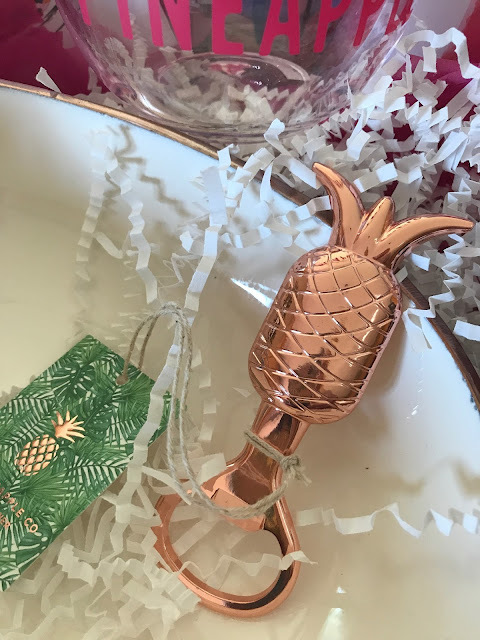 A pineapple themed gift couldn't have been anymore perfect for you you gorgeous blonde woman. Such sweet, thoughtful gifts for you to enjoy. Ok, time for me to head to the next blog. XOXO Happy Friday Eve!! What a fun gift, and she did a great job picking things she knew you loved! This is seriously the cutest little tradition. I love what you guys do! What an inspo to fellow bloggers!! :) I love that connection of location. That will be nice to know someone right away! What a wonderful community you all have built! Love the gift too. She did a great job. I love all of the pineapple stuff!! Everything you got was so cute! 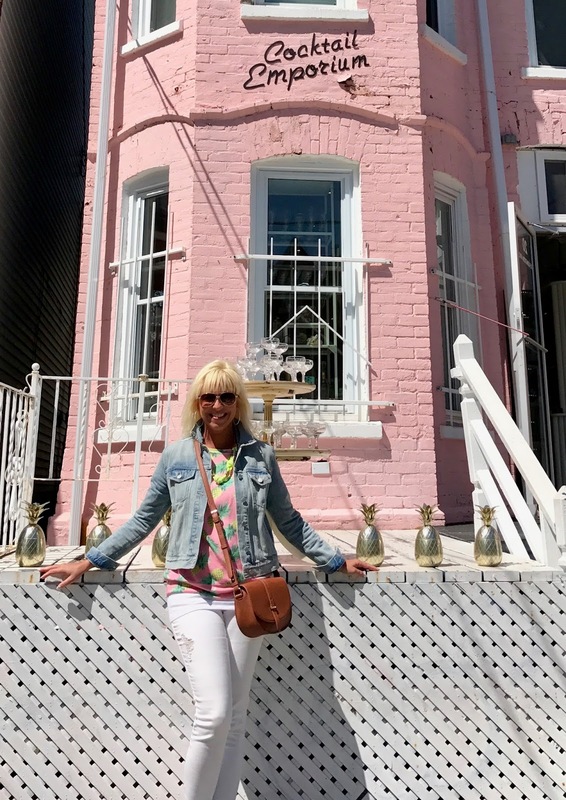 Totally twinning with the building- how cute are you?! Happy almost weekend, lady! 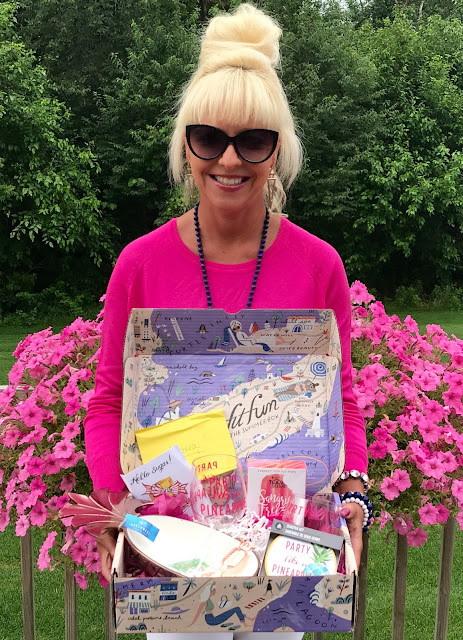 What a fun box of goodies for you! All the pineapple stuff is just too cute. Love exchanges like this. What a sweet and thoughtful gift! She found some really great stuff, and so much! Love it! Sooooo perfect!!! Such cuteness! I love it! 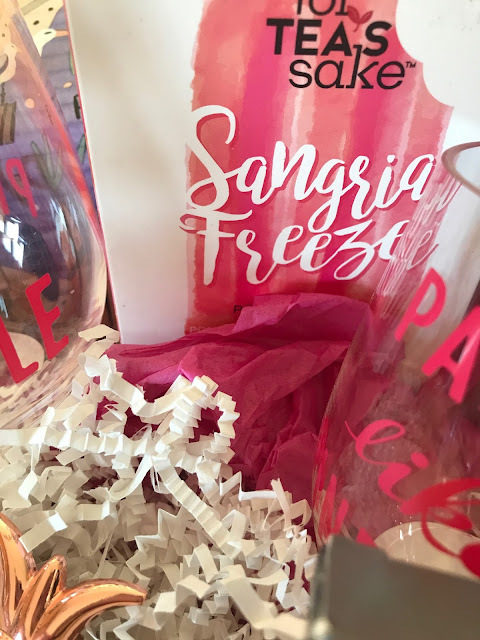 Such a fun idea, and your gift set is perfect for you! How thoughtful. Looks like a world of fun! So so perfect! Love that saying, party like a pineapple! Such fun gifts and how thoughtful! I love when people take notice of the little things and remember them when gift giving! 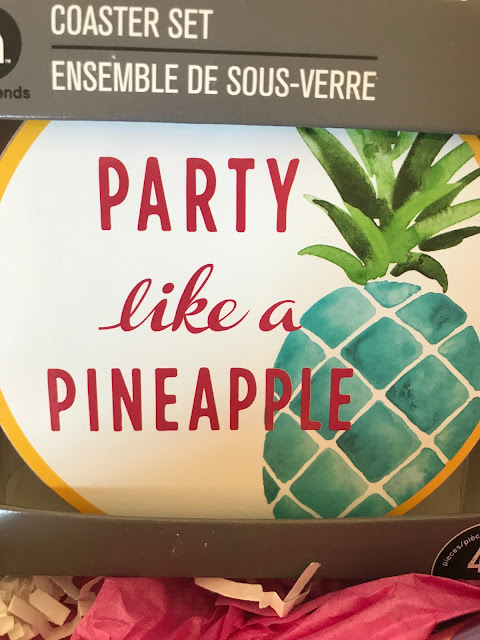 I think I found my new motto: Party Like a Pineapple! I love it - such a cute idea and you ended up with some of the cutest things ever!!! 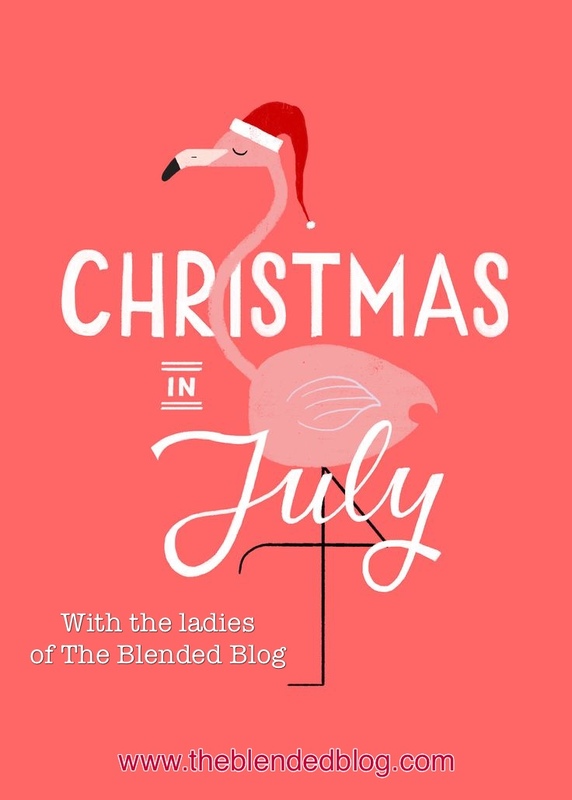 What a super fun bunch of goodies and what a great way to get a little pick-me-up in July! How awesome is this?! You got some awesome stuff! Love everything she bought you. Her gifts are sunny and pretty - just like you :)! I keep seeing pineapple things I want to buy you! What a sweet idea! 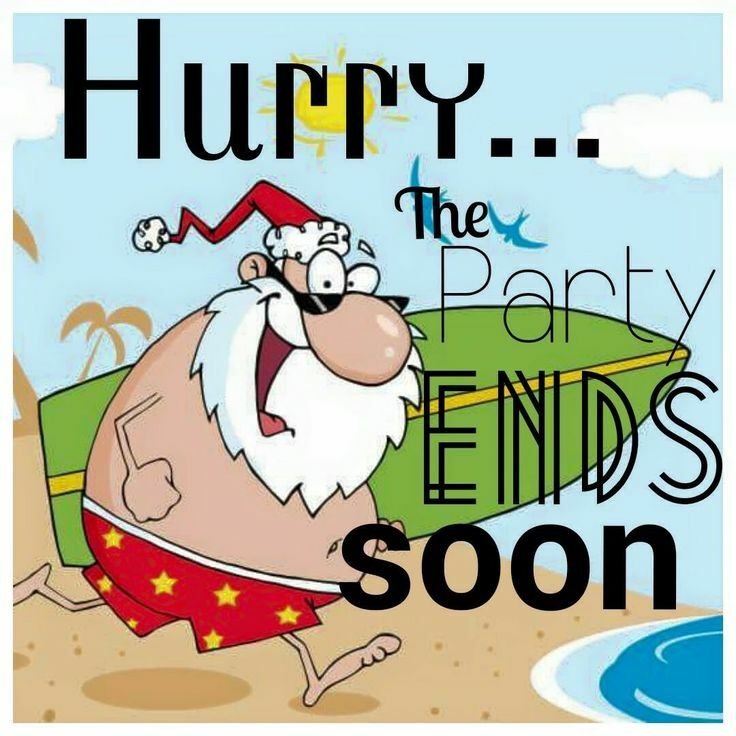 So many adorable gifts that seem SO you! I LOVE the little pineapple pieces! Happy Friday Andrea! What a beautiful gift pack! Love pineapple stuff! What fabulous pineapples, Andrea!! How perfect!! I love all the pineapple gear you got. Loving that pineapple sweatshirt so much. Have a great weekend! This is so sweet! She did such a great job buying for you!